Will the real Earth please stand up? This is a question we had better start asking ourselves, thanks to something called the Mandela Effect. The term, Mandela Effect was first used by MS Fiona Broome to describe a strange phenomenon. Specifically, it concerned the bizarre memory of many people that Nelson Mandela, while still a prisoner of the Apartheid regime in South Africa, passed away. He did so while still imprisoned. This, many people remember as having occurred in the late 1980’s. Now, the number of people we’re talking about here is not a paltry figure, but a lot! In addition, this phenomenon of them remembering Nelson Mandela as having expired several decades ago is a worldwide one. For many, the man never lived to see his freedom. Yet he did and he went on to become president, no less. Despite this, this weird memory of many persists, even so. At first glance, one would think so, that being the obvious and easiest answer, but the sheer numbers of people who “remember” his death in the 1980’s is truly staggering. As one person put it, it is an “absurd” number of people who remember his death this way. Yet, these same people are also fully aware he died much later and only after the time he was no longer the president. This is a truly eerie set of circumstances, the idea that so many people could have two diametrically opposed sets of memories about something like this and at the same time. 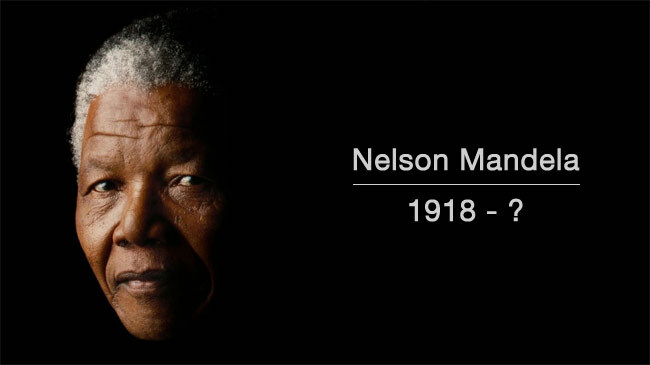 Neither does the phenomenon stop with Nelson Mandela with the date and circumstances of his demise. There are numerous other examples. For instance, many thousands of people while still students in school, insist they were taught that New Zealand was in a much different location on the map than it really is. The same holds true for the island of Sri Lanka off the eastern coast of India. This last one has particular relevance for me, because I was a strong student of geography, even when very young. Just for fun, while others doodled away in class while listening to a teacher drone on, I would draw the maps of the world on sheets of paper. I always put Sri Lanka in the wrong spot, apparently, and exactly where many others thought it was supposed to be, as well! The thing here is people can get the locations of islands on maps wrong. Nobody is infallible, of course. Nonetheless, the strange thing here is that so many persons get the same thing wrong, and only that one thing and in the same way! Even more telling is that they remember and so reposition the island in the same wrong place! How do we account for this peculiar fact? Were we all just poor geography students? It’s certainly possible, but I assure you that in this particular instance, I was not. I loved geography and history to the point where I avidly read my textbooks through entirely in the first week that I received them. I had a truly keen interest in these subjects to the point, again, I drew world maps as a form of doodling, repeatedly, hundreds of times when bored and listening to my teachers going on about something far less interesting (in my opinion). Moreover, for those who still insist on claiming all of us were just bad geography students; do remember that these people didn’t make the same mistake with countless other islands and countries. They got those facts right. Furthermore, anyone who wishes to see my grades for geography in junior high, high school, and university are welcome to, if only to help prove my point. Globes With Vanished Islands. There is another strange phenomenon of the Mandela Effect and that is standard globes showing the countries of the world, sometimes, if only rarely, showing landmasses that simply now don’t exist. Yes, this is a very strange thing, but it is true. For instance, in the 1993 movie, Dazed And Confused, two students (actors, of course) are sitting in a real schoolroom and talking. One of them spins a real class globe in a desultory fashion while they speak. Clearly seen on the globe to the immediate west of Australia is a large island landmass, about one-fifth the size of Australia. Although the name can’t be made out (due to blurring from the spinning of the globe interfering), it is definitely a landmass with real topographical features and even a harbor or major inlet is clearly visible. Freeze-framed, it is definitely NOT a logo or any form of key. It is there and you can see it for yourself. This happens about 15 minutes into the movie. Dazed And Confused movie image showing large landmass just to the west of Australia. There is even a sort of strait at the southern and eastern tip of the island, bisecting the lowest section of it. Definitely NOT a key, logo, or legend, not judging by the very irregular shape of the landmass. Another globe that also shows a similar thing near Australia is from the TV show, Friends. There is clearly an island landmass there, as well, but this one is smaller and further south of Australia. It is not Tasmania because that, too, appears on the globe, as well. Neither is this a key or logo, because again, it is clearly a landmass/island. No such island exists there now. This particular episode, titled, Bracelet Buddies, was in the second season, and also aired in the 1990’s. Bracelet Buddies episode of Friends showing island off southwest coast of Australia. Admittedly blurry picture because of stop frame. Best seen in motion in actual video. Now as a caveat to this, there is a third globe, one seen in the television show, Mad Men that also shows something similar near Australia. However, this is much larger, is “house-shaped,” and has obvious information printed on and below it, and appears to be definitely a key. However, as one researcher of the Mandela Effect puts it, the fact it is positioned where it is with a depiction of three mountain tops on it, is a holdover memory of a timeline when a landmass did exist there. So the key with this illustration was placed there as a dim memory of what once was actually there, in her opinion. Is this true? I have no idea, but it is an intriguing notion. However, I use only the two other globes, on in Dazed And Confused, and the one in Buddy Bracelets of Friends, because those are definitely landmasses and NOT in any way keys or logos. Why is the landmass on the one smaller and further south than the other? The answer is unknown, unless in different timelines, the island/landmass is different in size and position. This may seem a trivial example, but not so! So many insist they remember the title with the “e” in it, rather than the “a” that there is even a conspiracy theory surrounding the subject. In other words, this isn’t just a few people. Rather, many remember the name spelled differently than it now is. Did they all just get that wrong, too, or is this a symptom of something else? Again, these people are so adamant on this subject that they feel there is a conspiracy going on about it. That’s adamant! There are more examples yet, numerous ones, in fact. As just a couple more instances, there is the case of the “missing portrait of Henry VIII.” Large numbers of people swear they had seen at some point in their life a copy of the portrait of King Henry VIII of England eating a turkey leg. Others argue this was a leg of mutton or perhaps some other bird, such as a swan or goose, but they don’t argue the fact they saw such a picture. Yet, many people in their thousands either remember chartreuse as being a shade of red, magenta or sometimes referred to as “maroonish” in color. That’s very different from yellow-green. Besides this, they all remember it as being the same wrong alternate color, rather than various and different ones that they might have otherwise remembered. Again, not only did they all get chartreuse wrong, but also they all got it wrong in the exact same way! This seems to be a hallmark of a Mandela Effect. There are more such instances, quite a few, but the point here is these serve to illustrate the Mandela Effect. Tens of thousands, even hundreds of thousands of people remember things as being different in some way than they actually are. Moreover, these differences are often about the same things and they are in error about them in the same way. To add to the enigma, often such people will have two simultaneous sets of memories concerning the event or instance, as with Mandela dying in the 1980s. However, they also know he died much more recently. How does one account for this peculiarity, as well, this strange duality of memories residing in someone’s mind at the same time? Yes, as I’ve said, it is possible different people remember different things erroneously and they often do, but for so many to remember things differently, yet in the same alternate way, is just downright bizarre. There is no other way to put it. Could they all then be mistaken and in exactly the same way, making the same error by sheer chance? What would the probability of such a thing be, other than a very low one? Moreover, I have found my own evidence, new evidence, in the form of images of a globe from an old I Dream of Jeannie episode, (fourth season). As far as I can reasonably ascertain, these are new discoveries and made by me. In the picture just shown, if you look between the two actors, you will see a globe sitting on a shelf. If you look carefully, you will see what clearly seems to be a large island or landmass in the middle of the Pacific, just to the west of the northern area of South America/lower portion of Central America. There appears to be two landmasses there, a bigger one, and to the west of it, a smaller one, the two islands divided by what appears to be a narrow strait. I have used every means at my disposal to enlarge, and resolve this image. It definitely does NOT appear to be a logo, key, or legend of any sort. There is a reflection, or glow spot to the west or left of the island(s), which is no doubt due to lighting conditions while filming. Did you notice the strait in the southwestern area of the main landmass dividing it from the much smaller one below it? Now, the next image is a “current map” of the Pacific Ocean area, as we know it now. Please notice Hawaii is barely discernible, being so small as islands, and certainly nowhere nearly comparable in size to the huge landmass as shown in the prior image!